With a unique background combining internet and technology expertise with first-hand experience as a successful real estate industry executive and broker, I was regularly consulted by the media for insights and commentary. Below are links to several stories and interviews on topics ranging from technology to marketing to sales trends. Coldwell Banker Hunt Kennedy (CBHK) named Philip Kiracofe the company’s Chief Technologist. Kiracofe will be responsible for the vision and implementation of all CBHK’s internal systems and public-facing Web sites. His primary goal is to implement technological solutions that will automate routine agent tasks that today consume the majority of their time, thus freeing them to spend quality time on personal interactions with new and existing clientele. “We are looking to enhance every phase of a deals’ lifecycle, from prospecting, to closing, to ongoing customer relationship management,” said Kiracofe. “We are taking a holistic look at the entire real estate business. CBHK will maximize efficiency by streamlining every aspect of our business through combining existing Web services, off-the-shelf technologies, and proprietary in-house solutions. Why is this man so confident? “Manhattan Association of REALTORS(r) (MANAR) Announes appointment of Philip Kiracofe as President.” New Board sets bold 2009 Initiatives for Manhattan Association of REALTORS(r). New York City, February 3, 2009 – The Manhattan Association of REALTORS(r) has announced the election of the 2009 Board of Directors and Officers. Philip Kiracofe will serve as President of the Association. Kiracofe has been a member of MANAR since 2006, and has served on the Board of Directors for both the Manhattan MLS and The Manhattan Association of REALTORS(r). The Manhattan Association of REALTORS(r) has announced the election of the 2009 Board of Directors and Officers. Philip Kiracofe will serve as President of the Association. 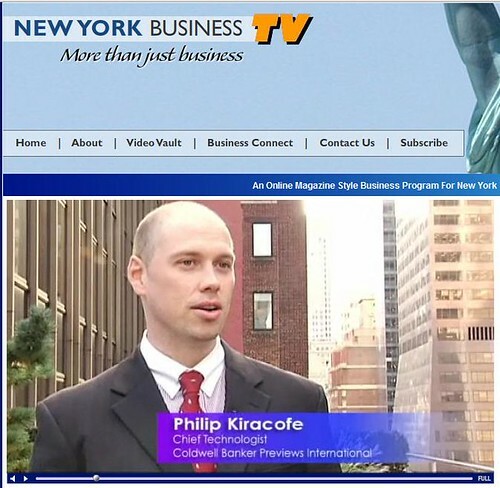 For Philip Kent Kiracofe, an executive vice president at Century 21 NY Metro, a real estate video posted on YouTube paid off handsomely. 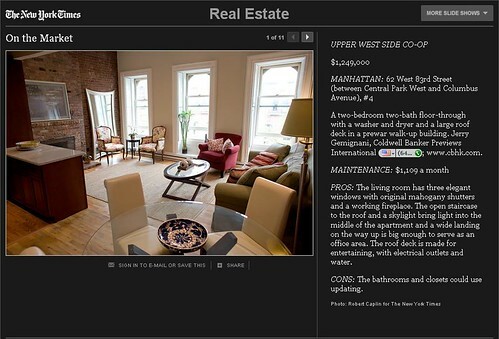 Kiracofe recieved an all-cash offer on a $1.5 million Upper West Side fully-furnished two-bedroom he marketed with YouTube. For his 211 West 71st Street listing, Kiracofe interviewed the seller about the designer innovations, including accent lighting in the kitchen and 11 LCD panels installed around the apartment”. The same is true for buildings where the facades remain intact but the space inside is being renovated or is an empty shell. March transaction volume is 40 to 60 percent down from last year, estimated Philip Kent Kiracofe, president of the Manhattan Associaton of Realtors, adding that properties over $2 million are the slowest moving. Marilyn Harra Kaye, the president of MLBKaye International Realty, estimated that sale prices have fallen 30 percent compared to this time last year. Meanwhile, the inventory of available homes for sale increased 36.4 percent from the same month last year, to 10,835 in February, accouring to the latest data available from Jonathan Miller, president of real estate appraisal firm Miller Samuel. One factor that may lead to some improvement is the recently enacted stimulus package, though it’s unclear how much New York City will benefit. Newmark confirm estimates that Craiglist makes $7 million to $10million a year in revenue – by charging for job listing in New York, San Fransico and Los Angeles – but won’t say if Fortune was right in reporting last year that he’s paid about $200,000 a year. In New York, Craigslist has cought on as a way to rent apartments, but its very success has brought problems. To upgrade the quality of the listings, he’s plannning to start charging for apartment-for-rent postings – but only in New York, where brokers have unique sway in rentals. Apartment Broker Philip Kiracofe, at Prudential Douglas Elliman, says Craigslist has a “tremendous buzz factor” and generates lots of response. “What Craigslist satisfies is the ability to post information very quickly and in a nonregulated fashion,” he says, pointin out that there’s a downside to that – for example, some brokers try to hide their fees from prospective renters. Philip Kiracofe, chief technologist for Coldwell Banker Hunt Kennedy, is a bit of a technophile,staying on top of the latest Web 2.0 trends, social networking and Twittering. But when he’s climbing, all phones are off and he’s invisible to the Western World. The chaotic life of residential Manhattan brokerage, merely a distant memory, rests miles below and continents away. It’s just him – and the peak. “When you’re out there, it’s your time to think. It’s time to be away from your blackberry,” Kiracofe said. “It was magnificent to be out of contact – to be turned off from the world.” To read the full article, pick up the Mar 25 issue of Brokers Weekly.